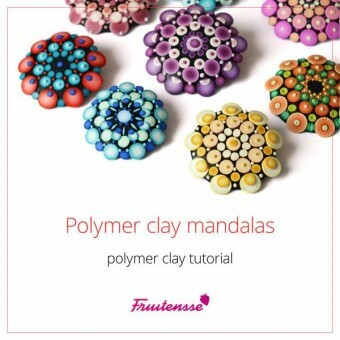 New polymer clay tutorial Mandalas has been published on the site. Below you will find out what you can create with this tutorial and what you will find inside. At the end you will also find info how to buy and get it. What you can create with tutorial? You can create polymer clay mandalas with this tutorial. 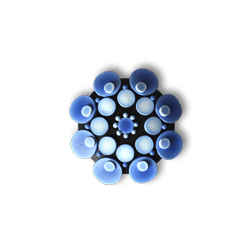 Mandalas are charming circular shapes. 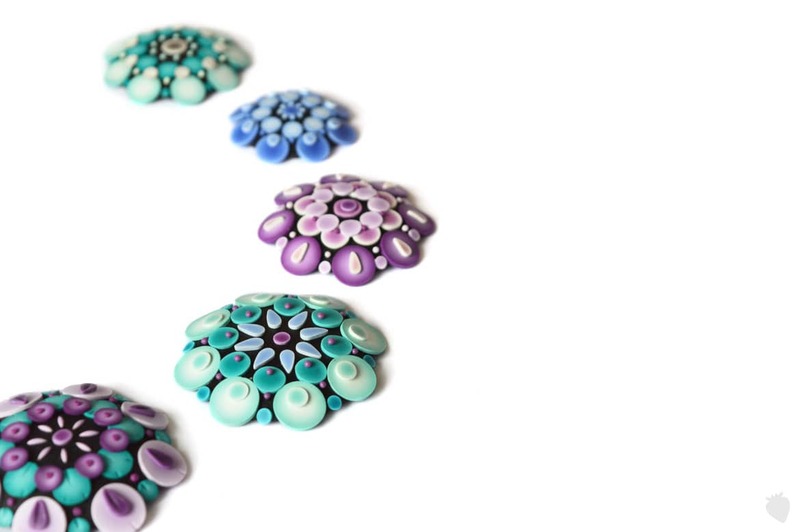 You can wear it as a brooch or pendant. Making mandalas is creative and meditative process. Feel free to choose decent or bold color combinations. 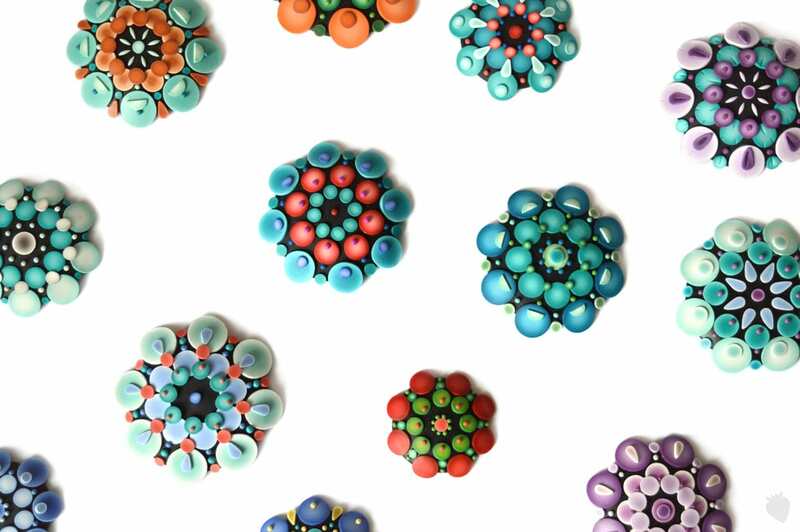 There are many ways to arrange mandalas, so you can make a lot of types with just one hue and none of them will be same. What do you find in the tutorial and what does it look like? 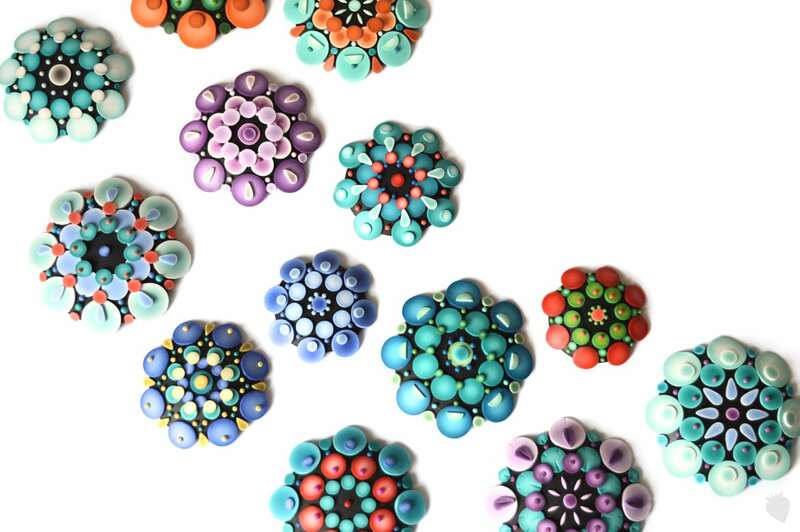 You make beautiful colorful mandalas with this tutorial. Also you try to work with Kato polyclay. You find out easy way how to make a lot of colorblend canes, how make your pattern symmetrical and how to create plenty of mandala variations. Mandalas make you relaxed! They are suitable for beginners also for advanced. 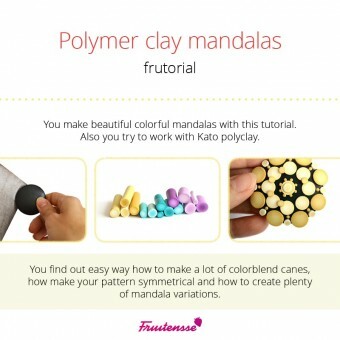 You will find in this tutorial: convex bases, easy way for colorblend canes, how to create mandala pattern, tips for working with Kato polyclay, brooch back side. Tutorial contains step by step description with photos + short videotutorial. Tutorial is in English (you can buy it in Czech too). Tutorial is available online on the website, where it is clearly divided into chapters in the interactive curriculum. On the website is also videotutorial, where you can see details. Na konci návodu najdete odkaz na stažení návodu ve formátu pdf. Ten je přehledně stylizován a obsahuje všechny popisy a fotky. Dále je zde galerie fotek hotových mandal pro inspiraci a pak galerie mandal ostatních. At the end of the tutorial you will find a link to download tutorial in pdf format. It is clearly stylized and contains all descriptions and photos. There is also a photo gallery of made mandalas for inspiration and then gallery of others work. You can comment and share your work in discussion at the end. Where and how buy tutorial? You can buy tutorial in e-shop. You can pay by credit card or use direct bank transfer. Payment by credit card is faster, you get your tutorial immediately and no extra bank fees. A link to your tutorial will be send to your e-mail. Tutorial will be easily accessible from your account after logging in with other purchased tutorials. Autorka webu, co má místo mozku fima kostku. Ujíždí si na polymerové hmotě, barevných vlasech a koťátkách. Are you here for the first time? This article will help you find what you need. Click here. Before you write me, search the FAQ section for the answer to your question.